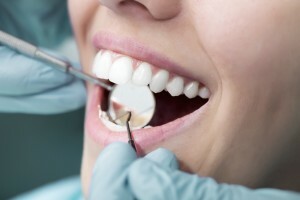 Does your smile have minor defects that you’d like to fix? Maybe there’s a small chip in your front tooth. Maybe a tooth that’s irregularly shaped, or a little too pointy. Whatever it is, it glares at you every time you look in the mirror. If that’s the case, you might consider one of our most effective and least time consuming procedures here at the Yuba City Dentistry Group: Tooth contouring. Tooth contouring (or reshaping) is a cosmetic dentistry technique that uses a drill to remove a tiny amount of tooth enamel, sculpting it into a more attractive shape. Afterwards, the tooth is polished to produce a smooth finish. Contouring is most often used to improve the appearance of upper front incisors and canines, the most visible teeth. Did you know that removing minor imperfections where tartar and plaque can hide actually lowers your risk of decay and gum disease? Of course, teeth shouldn’t be reshaped if doing so would result in any bite imbalance. Your dentist will meet with you to determine if contouring or another cosmetic procedure would be the best for your circumstances. Before performing any type of tooth reshaping, your dentist will thoroughly examine your teeth and establish which goals the procedure aims to accomplish (smile enhancement, correction of bite problem). Your dentist may decide that your tooth root surfaces require reshaping to protect you from gum disease. If so, x-rays may be taken to isolate and protect the pulp (the inner tissue of the tooth). In most cases, though, tooth contouring will only remove a small bit of enamel – the hard material that forms the surface of your tooth. Since enamel does not contain nerves, typically you won’t even need a local anesthetic. First, your dentist will mark your teeth with a pen to highlight which areas he or she wants to sculpt. Next, he or she will gently reshape the tooth using a sanding instrument. Finally, the tooth will be smoothed and polished. The entire procedure is finished in less than half an hour, with immediately visible results. Your reshaped teeth may be slightly sensitive to temperature immediately following the procedure, but that should subside after a day or two. Are you interested in drastically improving your smile? Consider combining tooth contouring with a whitening procedure, dental bonding or veneers. Together, we’ll kiss those cosmetic defects goodbye once and for all!